Our club trains Wednesday nights at 7pm at the Mead Westvaco Park. We meet at 7:30am Saturday mornings at the Dolphin Cove Field for tracking. Obedience begins at 9am at the Mead Westvaco Park. We ask that potential new members attend a Saturday training session first. This will allow us to spend extra time with those who are new to the sport and our club. Dues are paid in June of each year. Currently, dues are $275 for one dog. Each additional dog is $50. Dues help pay the rent for our fields, sustain club equipment and assist in financing the club trials that we host. We also offer discounted dues for junior handlers and those with puppies. The USCA is our mother organization. 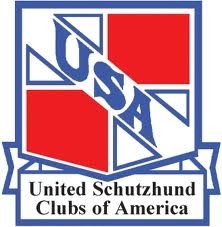 All club members must be members of the USCA. When participating in a trial, each dog must have a score book that is obtained from this organization. The score book is where all trial results are entered and it stays with the dog throughout their trialing career.